That’s why I’ve written an ebook about London’s best riverside pubs. 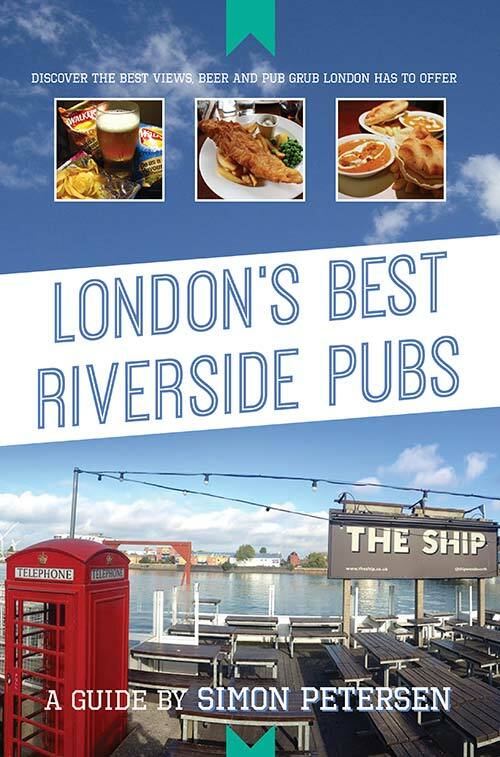 This is a chapter from that book – London’s Best Riverside Pubs – which you can purchase from the Amazon Kindle Store. The Grapes is that quintessential English pub you often see in movies or on TV shows: it’s small – practically dingy – with wooden floors and all manner of historic-looking knick-knacks on the walls. Where it does differ from the Rovers Return, say, or The Winchester, is that it has a delightfully tiny wooden veranda out the back overlooking the Thames. There won’t be much room to move on a busy day or evening, but if The Grapes is good enough for Charles Dickens – who apparently drank there at least once and used it as inspiration in one of his books – then it’s a riverside watering hole worthy of your attention. Foul-mouthed celebrity chef Gordon Ramsay owns this riverside pub, although you can’t imagine the former face of Gordon’s gin spends a lot of time here – what with juggling his burgeoning restaurant empire as well as his television career. The Narrow is a remarkably normal gastro pub with no Michelin stars to speak of, situated along a fairly busy stretch of the Thames. The food is excellent, of course, and it’s slightly flasher than your average London pub. The Gordon Ramsay moniker tends to mean its busy at all times of day and, with decent seating inside and out, this is one pub that’s worth visiting in the cooler months as well the warm. Formerly known as the Devil’s Tavern because of its dubious reputation, the Prospect of Whitby is London’s oldest riverside pub – and it shows, with old stone floors, barrels set into the bar and ship masts built into the structure. Dating all the way back to 1520, the pub counts Charles Dickens, Samuel Pepys, Kirk Douglas, Paul Newman and Princess Margaret among its more notable customers. But it’s its reputation for being the watering-hole of choice for 17th Century smugglers that makes it really cool. Visiting this nearly-500 year old pub would be a little bit like time-travelling, then, if it weren’t for its fantastic views over the Thames and the modern world that surrounds it. 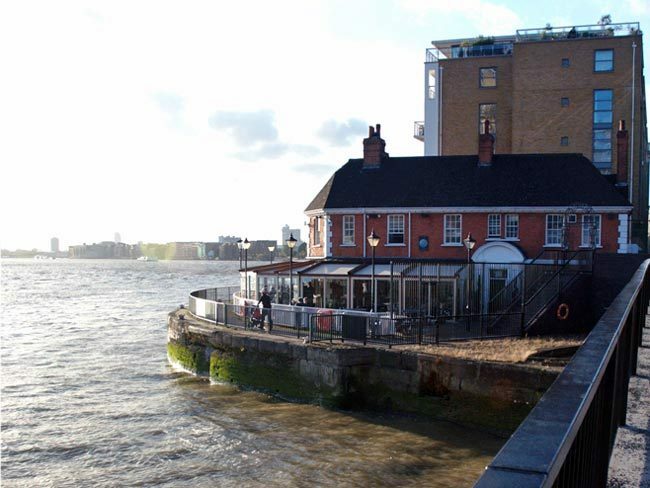 Want more of London’s best riverside pubs? Buy the ebook!